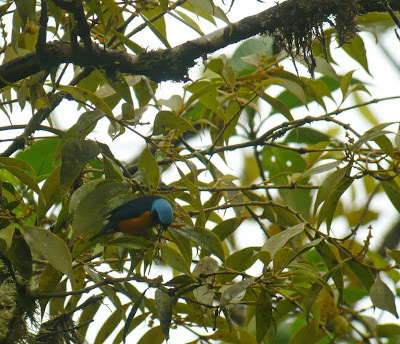 The Canopy Tower's Carlos Bethancourt photographed this male Elegant Euphonia in Altos del María while leading a VENT trip with Jery Langham on Jan 15 at around 10:30 am. 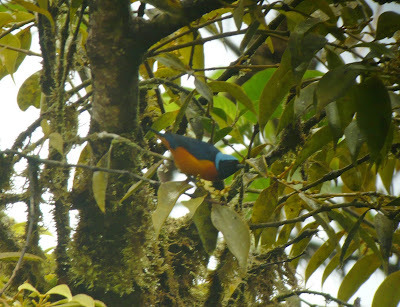 This is not apparently the first time they've encountered this species, typically found much further west. 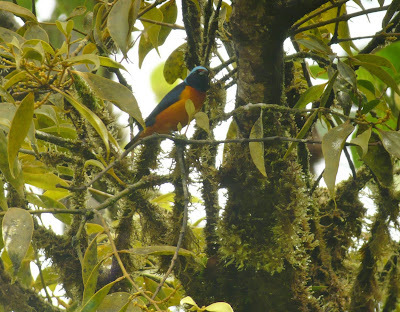 Also seen that day were Snowcap, Ochraceous Wren, Tawny-capped Euphonia, Orange-bellied Trogon, Black-and-yellow Tanager, Common Bush-Tanager, Silver-throated Tanager, Gray-breasted Wood-Wren, Pale-vented Thrush, Green-crowned Brilliant, White-ruffed Manakin and Spotted Barbtail.